It was lovely to get back to the area I was born and grew up in, the stunning Blue Mountains, west of Sydney. 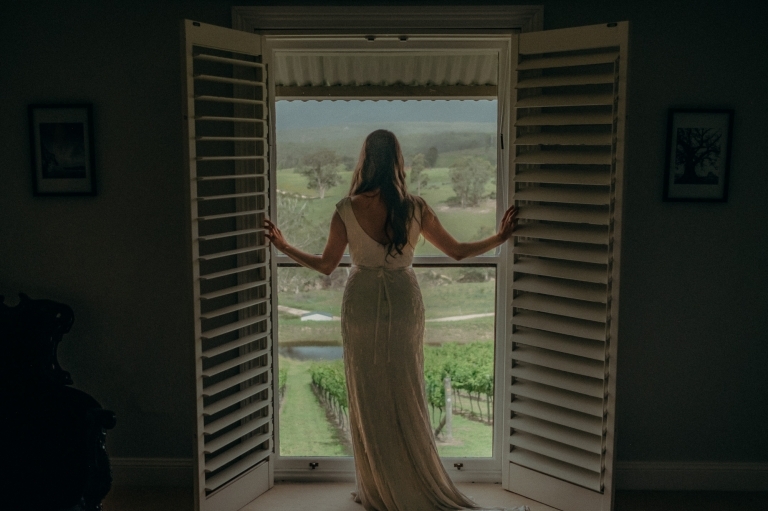 Ashley married David at the beautiful Dryridge Estate Winery out in the Megalong Valley, with The Great Dividing Range surrounding them. The weather was chaotic yet addictive, windy and calm, rainy with stars to finish. Ash is wearing an elegant beaded gown by one of my favourite designers Karen Willis Holmes, Ash what a stunner you are!! 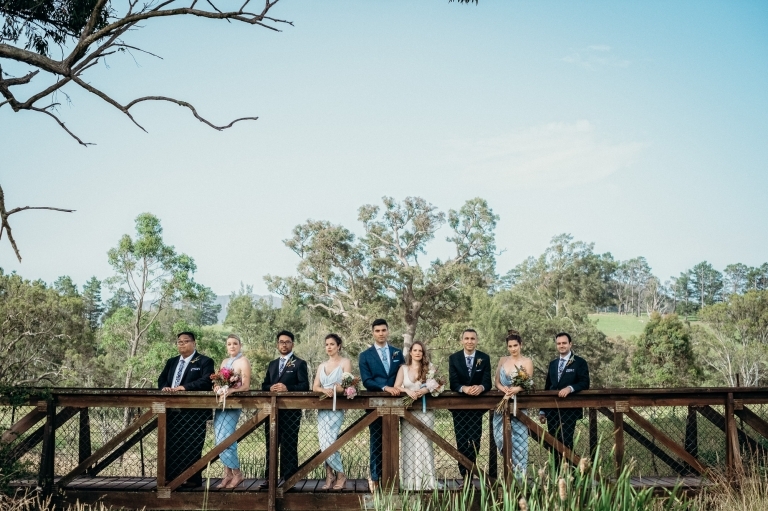 Dave is in a very cool, blue M.J. Bale Suit, and he and the boys have custom Peggy and Finn Ties and pockets with Australian native prints, matching the handmade bouquets with all of the Aussie fauna included. 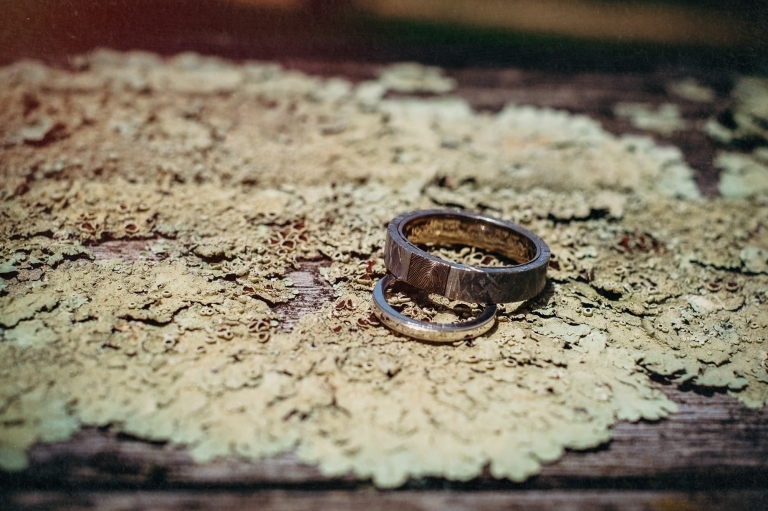 Dave’s wedding band is extremely custom made by Zoe Pook, featuring a surround of meteorite and Ash’s fingerprint hand engraved into the middle…what a ring! 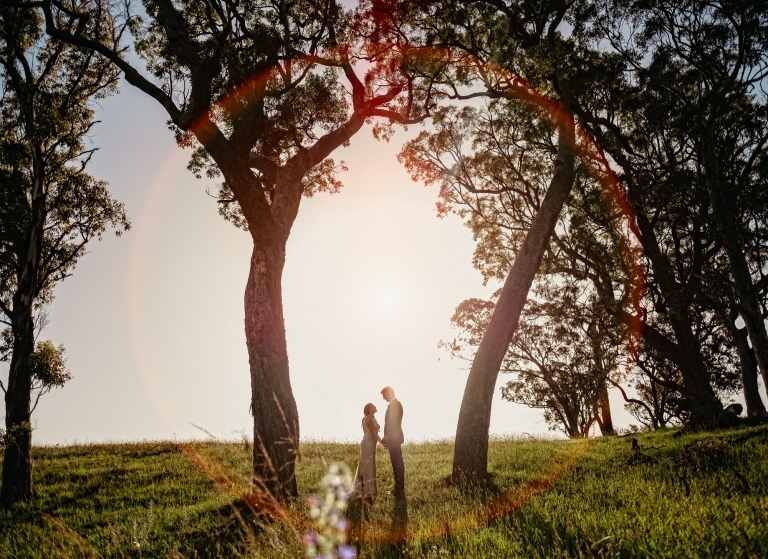 Ash and Dave, thanks for having me along on your wonderful day, for the trust and inspiration, for having such welcoming and hospitable families and friends. I will never forget your day. I hope you like these few teasers for now. More to come soon. 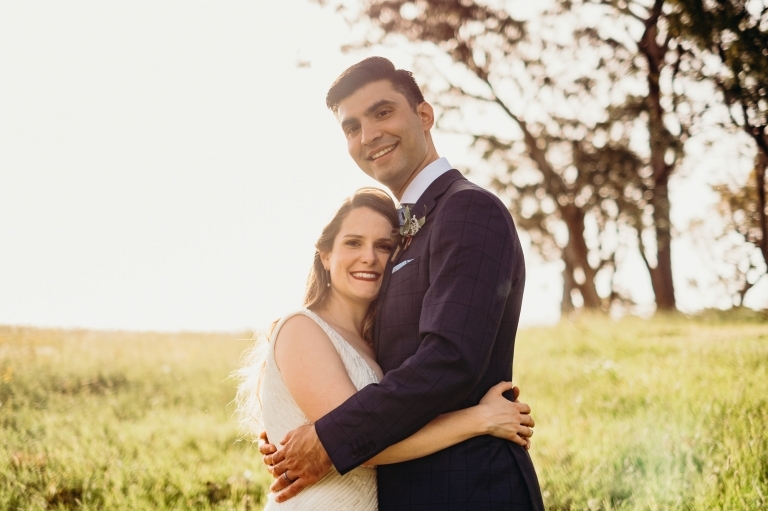 Leonil - As a fashion photographer and occasional wedding photographer myself, it was so much fun watching Matt work and getting a chance to see how he shoots a wedding.